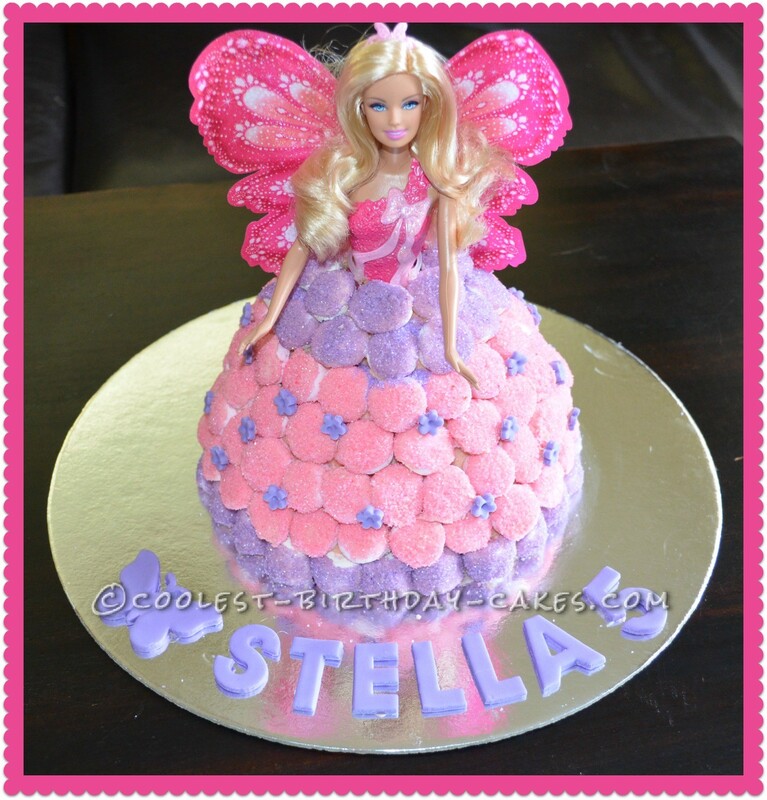 What a wonderful cake for a little girl. The cake is baked using a Dolly Varden tin, the recipe said to bake for 50 mins but in my oven it was more like 70 mins until I was happy it was cooked in the centre and it was still soft and moist. The Dolly Varden cake is iced with butter cream, then marshmallows were but in half, dipped in chocolate and then in colored sugar, that is done by putting caster sugar in a clip seal bag and adding a small amount of food color, then rubbing and shaking until all the sugar is colored. The cut side of of marshmallow sticks to the butter cream so they stay on. Remember to cut a hole out for the doll before you apply the marshmallows. 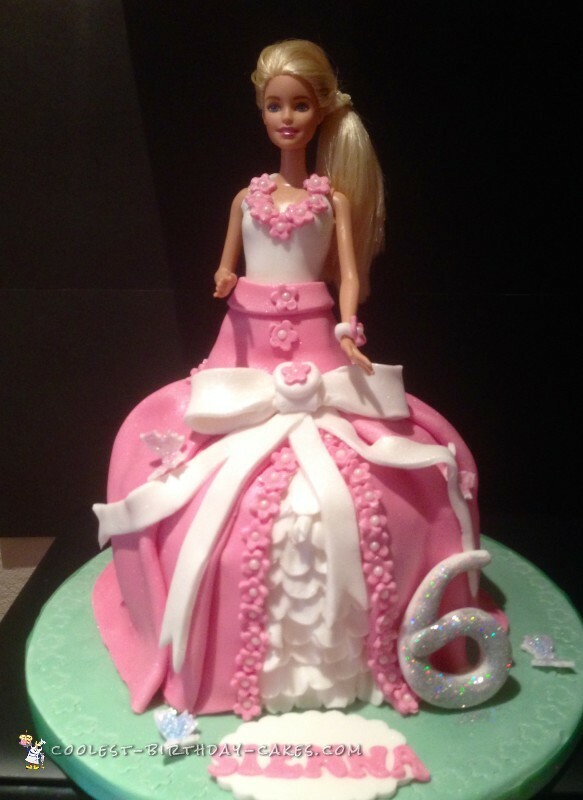 Try to find a doll where the top is molded onto the doll as this one is, saves it from getting spoiled if the butter cream icing touches it.